Recently while creating a bootable USB drive, I found that my USB drive has lost some of its space. It was an 8 GB drive which suddenly turned into 2 GB. I tried formatting it in different file systems but none of them worked. After doing some research, I found that the space I lost was unallocated. So to restore it we need to fully format the flash drive and create partitions in it. There are two ways to do so you can either use a tool or you can do it manually using command prompt. I have written both the methods so that if one doesn’t work for you then you can switch to the next one. 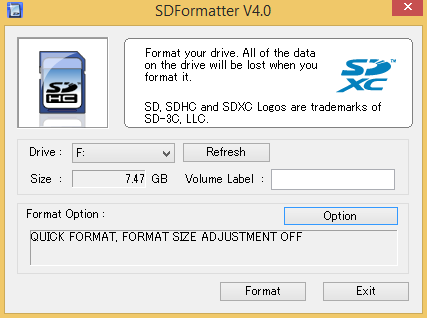 First of all download and install SD Formatter tool. After the installation is completed, launch SD Formatter. It will automatically detect your USB flash drive, so all you have to do is click the format button. Once the formatting is completed your USB drive will be restored to its full capacity. In case, if your flash drive isn’t restored to it’s full capacity then you can change the format type. 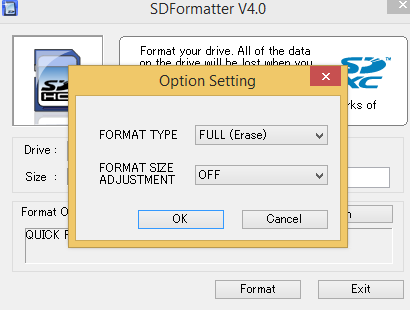 To do so click the options button and select Format type as Full (Erase). Again format your USB drive and this time the lost space should be recovered. First of all plug in your USB flash drive. Now open command prompt with administrative right. 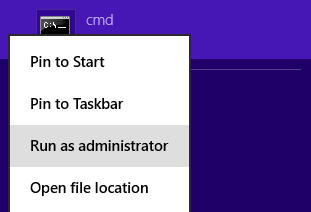 You can do this by searching for cmd in start menu and right click it and select run as administrator. 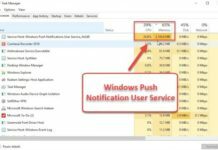 Once you are in diskpart type list disk and press enter. Now it will display list of disks attached to your computer. You can determine your USB flash drive by its size. In most of cases it is assigned as disk 1. Now in command prompt type select disk 1 to select your USB flash drive. Once the disk is select type clean to delete all the partitions from your USB drive. Now type: create partition primary to create a new partition on your USB drive. 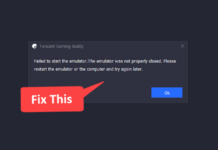 It’s time to format the newly created partition. Select the partition by typing select partition 1. Once the partition is selected type format fs=ntfs to format your USB drive in NTFS format. That’s it, Now your USB flash drive should be restored to it’s full capacity.